Here's something that might sleigh you - our fun, funny behind-the-scenes peek at the making of Mi Palpita Il Cor! Click here to watch! We are delighted to announce that we've lowered the prices of all our CDs to $14.99! (And of our double album to $20.99.) We recommend ordering by December 19th to guarantee Christmas delivery. An exquisite selection of thrilling vocal and instrumental compositions exploring different aspects of love. 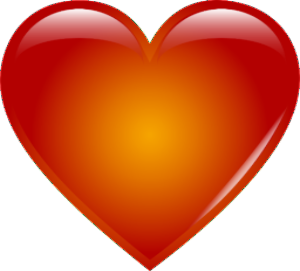 For your favorite romantic! 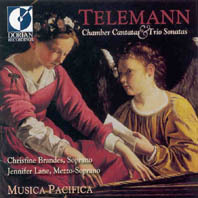 "The best compliment I can give these transparent, driving, and always gripping performances is that they sound so authentic, as though being played by a Venetian ensemble of Vivaldi's time." A breathtaking exploration of Scarlatti's work. 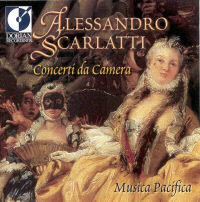 "The ensemble’s thoughtful attention to phrasing, voicing, and texture... make the whole of Scarlatti’s concerti da camera much more than the sum of their parts." 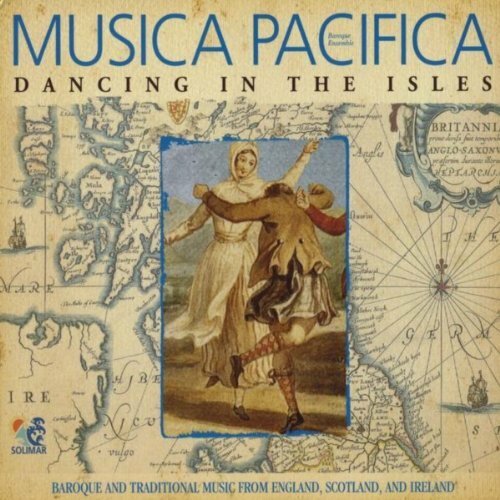 Joyful, toe-tapping tunes from the British Isles. 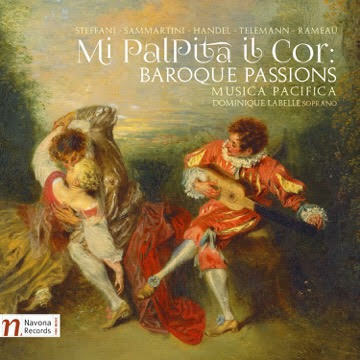 Baroque and folk together -- our best-seller! "Both liveliness and a heap of suave. If you want to give yourself a refreshing break... I recommend this." 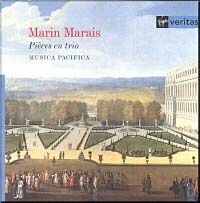 The quintessence of the French Baroque -- a double album with 2 1/4 hours of pure pleasure! "Ravishingly beautiful... warm, expressive, and intensely alive to every nuance, this is playing to ravish the senses." Let Musica Pacifica help you do your grocery shopping! 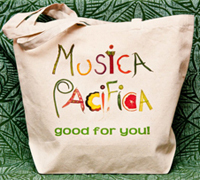 Musica Pacifica tote bag - specially designed by Elizabeth Blumenstock from actual fruits and veggies! Perfect in California, which now charges for grocery bags. 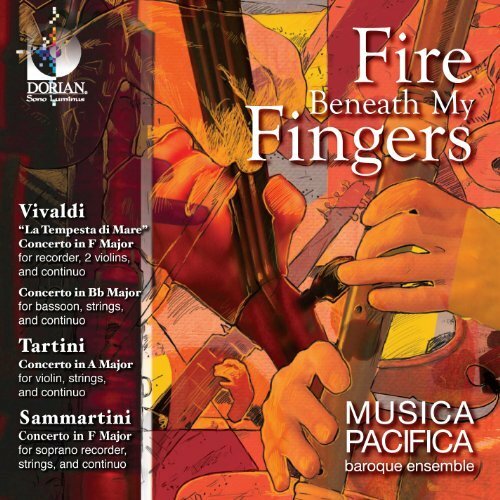 Dramatic, powerful and arresting music by composers who were themselves virtuoso performers. “First-rate music in very theatrical and technically brilliant performances." 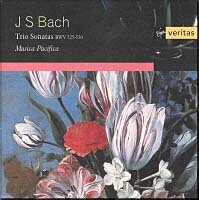 "Gives a whole different feeling to the Trio Sonatas.... 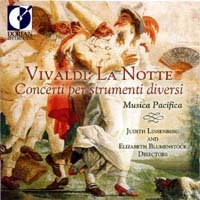 The equal to any European 'original instruments' recordings, it is all at once energetic, intimate, elegant, delicate. I can't recommend this recording highly enough." 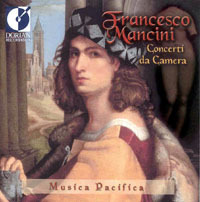 For more than 25 years, Musica Pacifica has brought you the very best in early music through our concerts and recordings! We need your help to cover artist fees, travel for guest artists, and to continue making the CDs you love! We hope your holiday season is just as festive and joyful as you could possibly wish for!